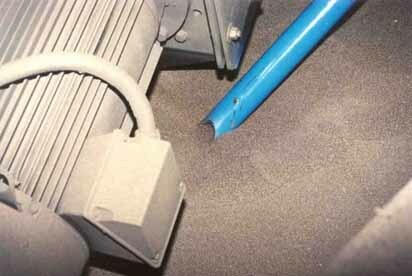 VAC-U-MAX has over 50 years experience in pneumatically conveying and vacuum cleaning metal powders. 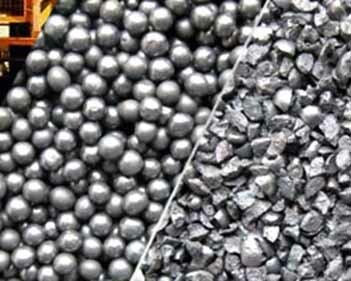 High-density and highly-abrasive powders require a deep understanding of vacuum producers, powder flow, filtration, abrasion, ergonomics and a working knowledge of the steel abrasive finishinbg and peening industry. 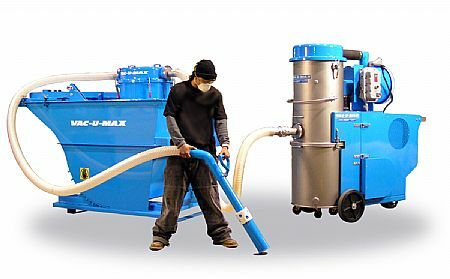 VAC-U-MAX has developed several configurations of industrial vacuum cleaning systems to address all types of abrasive finishing operations. 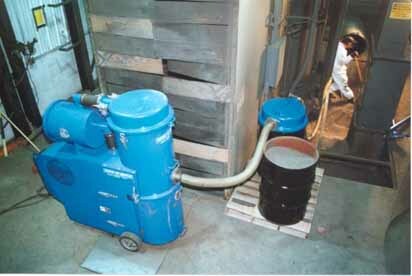 Right: Model 1020-15HP cleans out pits and fills a 55-gallon drums of shot in 16 minutes from 25ft away. Put a cover on the drum and it’s ready to be shipped out for reprocessing. Below: VAC-U-MAX “Adjustable Bleed” cleaning nozzle buried in the steel shot, requiring very little manipulation. Keep areas around big airless blast motors clear to dissipate motor heat.